A woman has made a shocking confession about how she is being haunted by a man with whom she was in love with. A woman whose former boyfriend died in 2014, has made a shocking claim. According to her, the dead man is haunting her. Daily Sun SA reports that the woman, a 29-year-old from Bhobhoyi, KZN, South Africa, revealed that at the time of his death the man was no longer her boyfriend. 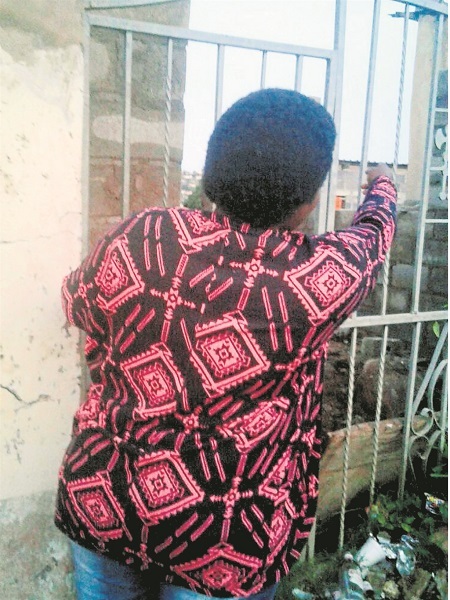 She revealed that when the man died, he was already living with another woman in the Eastern Cape. The woman now lives with another man in the house. “My lover is currently building on two more rooms. But this seems to have made my dead ex-boyfriend jealous, because I have not had peace since he began to build. “He’s haunted me every night since February this year,” the woman said. The woman said she has left her house and now spends most of her time at her new man’s shack. Her new lover has promised to continue with the building as soon as they have found help. “He doesn’t visit her when she is with me. If he was still alive I would have talked to him man to man,” said the man. Sazi Mhlongo, president of the South African Traditional Healers Association, said the woman should seek help from a diviner. “A strong diviner will be able chase away the man’s spirit,” he said.